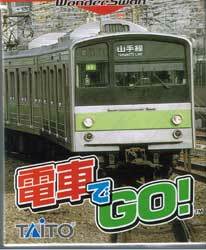 Don on your white drivers gloves and kick back in your drivers cabin as you ferry the good citizens of Tokyo around the Yamanote Line. A highly original title. Brand new. WonderSwan black & white. Very slight sun fade to top flap.